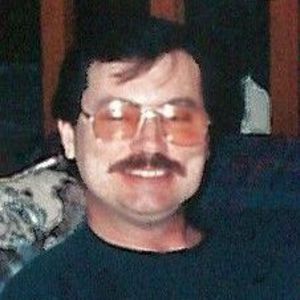 Obituary for Paul "Mike" Dashiell, Jr.
Paul Robert Dashiell Jr., "Mike", 69, of Elyria and formerly of Columbia Station passed away Thursday, March 28, 2019 following a short illness. He was born June 1, 1949 in Cleveland. Paul graduated from Columbia High School, class of 1967. He was a Navy veteran, serving from 1967-1968. He was employed for 30 years with the City of Elyria, an operator at the Waste Water Department and retired in 2006. Paul loved to travel to casinos, watch Sci Fi movies, and time spent with his granddaughter Riley. Mr. Dashiell is survived by his wife of 35 years, Carol (nee Easterwood); daughters Danielle Dashiell of Grafton, Katherine Dashiell of Forrest Hills, New York; step-children Scott Schroeder (Tammy) of Wellington, Jennifer Burrows (Chad) of Sandusky, Samantha Cadwell (Dave) of Windsor, Colorado; 10 grandchildren and three great-grandchildren; sisters, Pat Szudlo of Ft. Worth, Texas, Judy Fletcher of Elyria, brothers Tom Dashiell of Sheffield Lake, and Dan Dashiell of Olmsted Falls. He was preceded in death by his parents Paul R., Sr. and Mary Ellen Dashiell (nee Fletcher).